Tributes being paid to 12-Year-Old Gravesend Grammar School Boy after online campaign raised £170,000 to send him to LA for pioneering treatment . Jack Howard has died from a rare form of cancer just weeks after pioneering treatment in California. The west ham super fan died at the weekend. There are now calls for a minutes applause at their next home game. Everyone at West Ham United has been deeply saddened by the passing of brave young Hammer Jack Howard. The 12-year-old succumbed to kidney cancer after a courageous fight boosted by the support of thousands of fellow West Ham fans from all over the world. 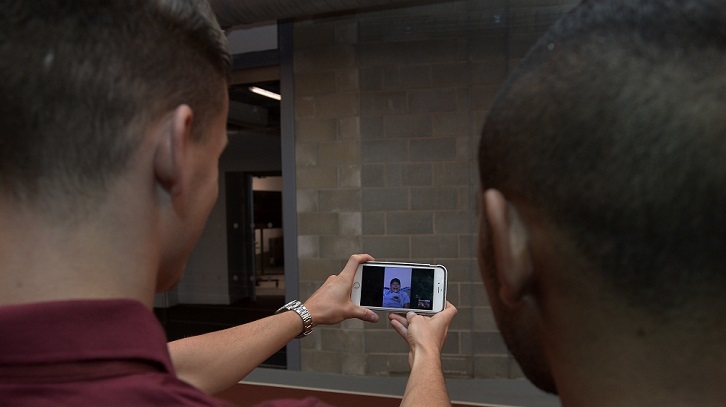 After supporters and well-wishers raised more than £250,000, Jack travelled to California for pioneering treatment in September, having received a Facetime message from his heroes Dimitri Payet and Sam Byram. Sadly, Jack did not recover from his illness and he returned home last month after it became clear the treatment had not worked. Speaking on behalf of the squad, Payet and Byram paid tribute to him. “It’s hugely saddening to hear about Jack’s passing,” said Byram. “His energy, positivity and strength were inspiring. Jack’s aunt, Keely Howard, who led the campaign to raise funds for his treatment, spoke on behalf of his parents Nick and Zoe in paying tribute to the valiant schoolboy. “It’s been overwhelming and we're really grateful for all the help and support, and Jack was grateful,” she said. "As parents they did everything that they could, but unfortunately he slipped away. “He was with his Mum and Dad in bed when it happened and is now in peace with his West Ham shirt on. The family are so grateful. They never thought they'd get that support and they're grateful that they had the opportunity to go to the States and give that treatment a go. Jack, who loved nothing more than cheering his Claret and Blue heroes on from the stand, had previously undergone chemotherapy and radiotherapy in 2013. He also had a kidney removed before going into remission in February 2014, but the cancer returned in December last year. Six months later, doctors thought he only had weeks to live. The Club became aware of the fundraising drive, with Payet and Byram cheering Jack with an unexpected call. Joint-Chairman David Sullivan donated £5,000 towards his treatment, while a West Ham-themed non-uniform day at his school, Gravesend Grammar, raised a further £6,000. At the Premier League visit of Southampton to London Stadium, fans of both clubs dropped thousands of pounds into collection buckets outside the ground. Tragically, Jack's condition took a turn for the worse just a fortnight before flying to Los Angeles, with UK doctors again unsure if he had days or weeks to live. Jack underwent a strenuous course of treatment in hospital, where he received messages of support from The Rolling Stones and LA Galaxy defender AJ Delagarza, but the brave young Hammer passed away at the weekend. The thoughts of everyone associated with West Ham United are with Jack’s loved ones at this sad time.